Worried about Uncle Sam tapping in your private phone conversations? You could stop using the phone altogether (although the Internet is hardly more of a barrier to the NSA), and withdraw into a life of solitude, with your only friends the mailman and FedEx delivery guy. On the other hand, you could also check out the new Vectrotel X8, which uses 128-bit encryption to keep your family gossip safe until the heat death of the universe. 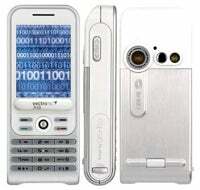 The phone uses the standard GSM protocol and includes Bluetooth, USB, and a 1.3 megapixel camera. Of course, to use the security features, both parties must have an X8, which means don't forget to buy one for your mom. One alternative? Create a pre-arranged code with your conversation partner. Those eavesdroppers down in Fort Meade will never know that "The clumsy giant plays hopscotch in the moonlight" actually means "Pick up some more milk at the grocery store." Sometimes low tech is best.